The 2013 update to the Diagnostic and Statistical Manual of Mental Disorders, or the DSM-5, included a new diagnosis of disruptive mood dysregulation disorder. 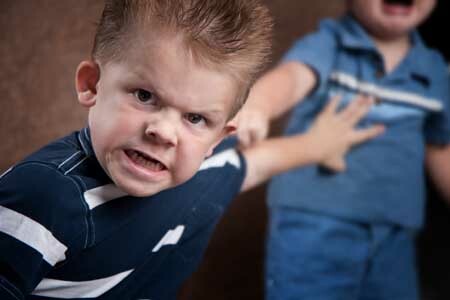 Children with persistent, severe temper outbursts and irritable or angry moods that are out of proportion to circumstances may be diagnosed with the disorder. However, there is not much specificity to the diagnosis and few treatment studies have been done to help clinicians and parents determine how to manage symptoms of the disorder. A poster presented at the 2017 Psych Congress reported that a medication protocol consisting of an anticonvulsant drug to stabilize moods and temper outbursts and a dopamine agonist to reduce irritability, impulsivity, and concentration problems reduced rates of re-hospitalization. The retrospective study by researchers D. Matthews and G. Matthews included 91 children and adolescents who were prescribed the anticonvulsant oxcarbazepine and the dopamine agonist amantadine following hospitalization for severe aggression, mood instability, and impulsivity. Those who stuck to the regimen with minimal changes for one year had an 8% re-hospitalization rate compared to a 26% re-hospitalization rate among those who discontinued the regimen or substituted other drugs. 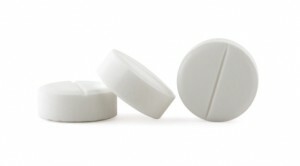 Editor’s Note: Oxcarbazepine has a long-acting preparation, Oxtellar, that can be given all at night. Amantadine (Symmetrel) not only is a dopamine agonist used for Parkinson’s disease, but is also an antiviral and a blocker of glutamate NMDA channels. It stabilizes the closed state of the NMDA channel. Many patients with schizophrenia do not reach full remission on antipsychotic drugs alone. The anticonvulsant drug topiramate (Topamax) has shown some promise as an adjunctive treatment for schizophrenia. To clarify the results of studies of topiramate, researcher Christoph Correll and colleagues performed a meta-analysis of nine randomized, placebo-controlled clinical trials of the drug. They found that when topiramate was added to antipsychotic treatment, it improved both positive and negative symptoms of schizophrenia, and it also led to reduced weight. Editor’s Note: Topiramate might also be useful for patients with schizophrenia who have the common comorbidities of alcohol and cocaine abuse, since in other studies of patients with these primary disorders, topiramate was helpful.